We’re delighted to welcome Karin Schimmelschulze, Managing Director of German Advantage, as a regular guest blogger. In this article, Karin reveals the key to successful communication when doing business with German clients. A room full of business people, all dressed accordingly in suit and tie for the gentlemen and mostly skirts or dresses of the right length (ending just below the knee) for the ladies…all ready to meet new potential business partners…and all keeping their distance. Germans don’t have a reputation for hugging their way through the woods and the business world. The expression ‘at arm’s length’ has its roots in the psychology of what one is comfortable with: a distance that equals the approximate length of one’s arm. Why? You are literally out of reach. Shaking hands is still very much part of Germany’s culture and you can seal a deal and expect the handshake to be honoured. Eye contact is equally important as it indicates your undivided attention. Multi-tasking may have its place but a conversation is not one of them. Please do not attempt to ‘keep an eye’ on the person you are communicating with and sort your emails on the pad at the same time. Mobiles are a big no-no when it comes to meetings. Unless you have indicated that you are expecting a call you really cannot miss, set your device to ‘silent’ until you can check during a break. In English everyone is addresses as ‘you’. In German the distinction between the formal ‘Sie’ and informal ‘du’ when addressing someone, cannot be emphasised enough. A faux pas in this area can cost you a valuable business connection. ‘Sie’ always goes with Herr oder Frau and surname and titles where applicable. ‘Du’ is strictly for family and friends. A shift from formal to informal can only be initiated by the higher ranking or (outside business) the older person. When talking to someone on the phone, a greeting within keeping of the time of day is important. ‘Guten Morgen’ at 11 am indicates that you just started the day, whereas lots of other people have been toiling for hours…Again, beware of the Sie/du trap. Instead of saying who you would like to talk to, phrase this as a polite question. Otherwise the interpretation may be that of you giving an order and that will not go down well. Emails should be targeted, concise, precise, free of grammatical and typing blunders as they represent you in written form and equally free of any personal contents, even if you know the addressee quite well. Consider the possibility of an email having to be forwarded when writing it. What does it all boil down to? The fact that German business conduct is formalised, distanced and targeted. It takes time to develop and establish a good business connection but because Germans are generally focussed and not keen on small talk you can do it rather quicker than in the UK. 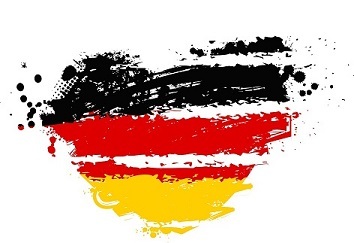 German Advantage (www.germanadvantage.co.uk) is here to answer any of your questions regarding business conduct in Germany and would be happy to support you in establishing and maintaining excellent communication levels between you and your German business partner.